I apologize to everyone who has received the results of the test today, to get the sample and find the place to accept it is very difficult and dangerous. Coupled with pink fudge & sweet smell characteristic of industrial solvents. We will soon determine specifically this type of poison. Sea water standard: 0.03 (56 times higher than allowed). 3. Heavy metal indices are also unusually high, suggesting that this is a waste from industrial activity. Thank you to the people and some other friends for helping us with the process of sampling and testing. (To ensure confidential information, some of the locations on our test results table have blurred. (**) Phenols and derivatives such as cresyl (cresylic acid) are very common in the industry (organic chemistry, plastics, pharmaceutical chemistry) and easy to disinfect, antiseptic (solution 1%). Acute poisoning occurs by drinking concentrated solutions for suicide or mistaken purposes. Phenol HCHC is very toxic, causing severe burns to the skin. Phenols and phenol derivatives are toxic substances that endangers human health and all living organisms. On the environmental aspect, phenols and phenol derivatives are classified as pollutants. This group is relatively durable, capable of accumulating in the organism and is capable of causing acute, chronic poisoning to humans. When entering the body the phenols in general and Clophenol in particular cause more damage to various organs and systems but mainly affect the nervous system, cardiovascular system and blood. This phenomenon appeared about a month ago in Ha Tinh now may have sunk into oblivion. 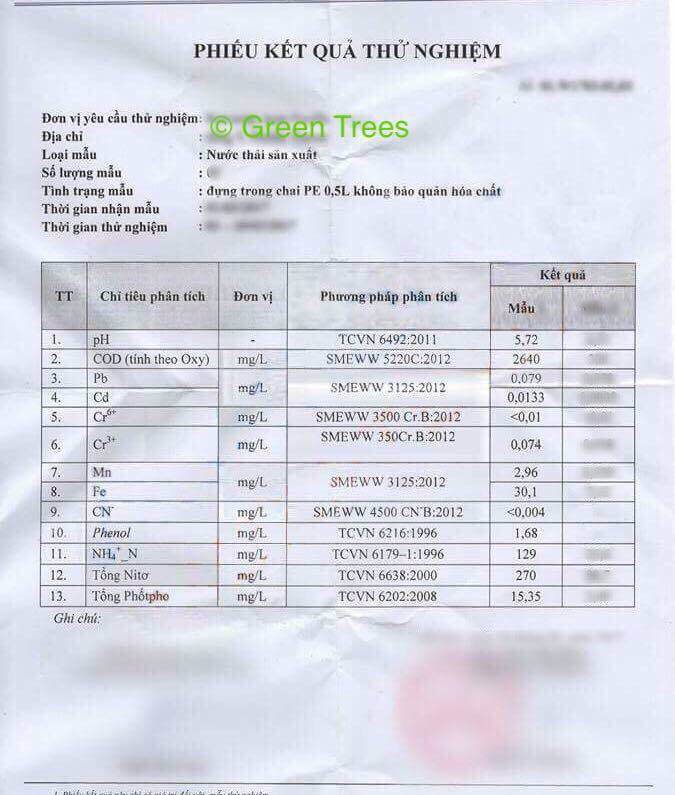 A phenomenon of concern among the masses, as described by the Thanh Nien newspaper as "water", and then called VNExpress "algae outbreak", Dan Tri has a name called "alga bloom". So what does it contain?